Dr. Wilson was born and raised in the great Northwest. 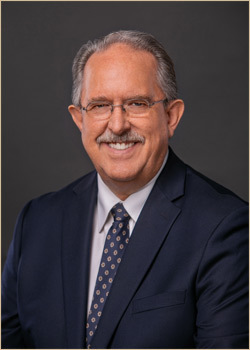 He received his Doctor of Dental Surgery degree from Loma Linda University in 1984, and immediately returned to his home state of Idaho to practice the art of dentistry. Dr. Wilson joined Dr. William Chetwood who was transitioning to retirement. Dr. Wilson is a member of the American Dental Association and past president of the North Idaho Dental Society. Dr. Wilson spends much time each year studying with national dental experts through the Seattle Study Club. Dr. Wilson serves as the restorative advisor for the local chapter of this organization. Dr. Wilson states that, "My number one goal is to help our patients, who place their trust in us, to enjoy the lifetime benefits of a beautiful and functional smile." Dr. Wilson enjoys the variety of performing most all of the disciplines of dentistry, everything from a "simple restoration" for a child to full mouth implant supported reconstructions. He has a passion for reconstructive and rehabilitative dentistry. Dr. Wilson and his wife have two teenage children, and consider it a privilege to raise their family in Lewiston, Idaho.